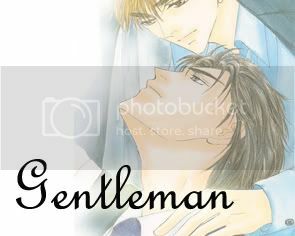 The Gentlemanyou are 75% Seme! You are the gentleman! Every uke's dream seme, and every girl's dream man at that. You fit the image of a knight in shining armour. You are gentle and care for your partner. You are also romantic... *sigh* What more could anyone wish for? Long lasting relationships work best for you. Hello, my lovely BoyWonderMark! I miss you something turrible! Awww, aren't you the sweetest darned thing since cinnamon toast? I'm doing alright, thanks. How's tricks with you? We so need to catch up. But don't let neither a nor b get in the way of us catching up, mind you! We can still have gurl talk! LOL! But of course! I look forward to it! I may have lost your number, sweetness. It's been quite a while since we've talked and stuff. Email me, sweetcheeks...I'll give ya my #! tch. so. where are you going to get a housekeeping uke? Mile I said to Jase, if the quizzes agree with you, then it's all good !